In the area Savada, the newly-built block of buildings right next to Delta City shopping mall, you can find our apartment Mango. 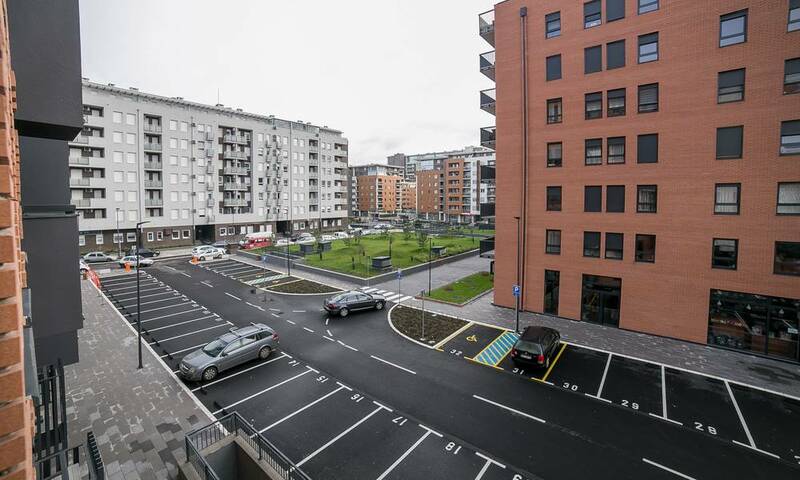 Together with A Blok, Savada area raised the quality of apartment accommodation and at the moment, the apartments in this location are the most popular. 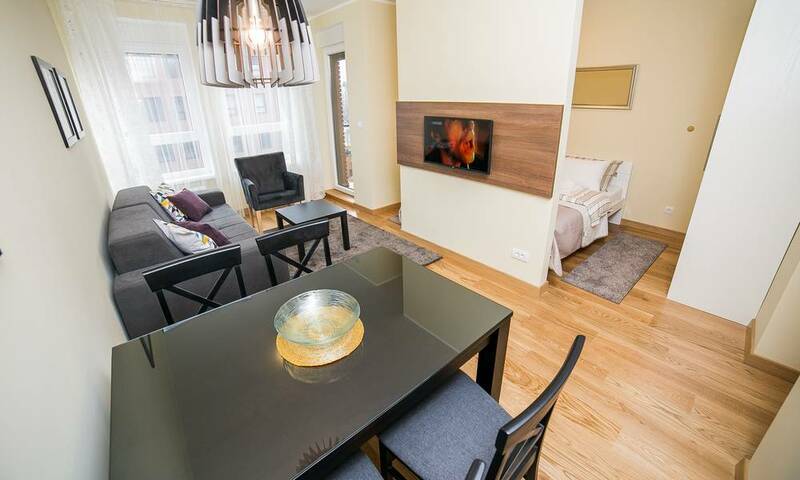 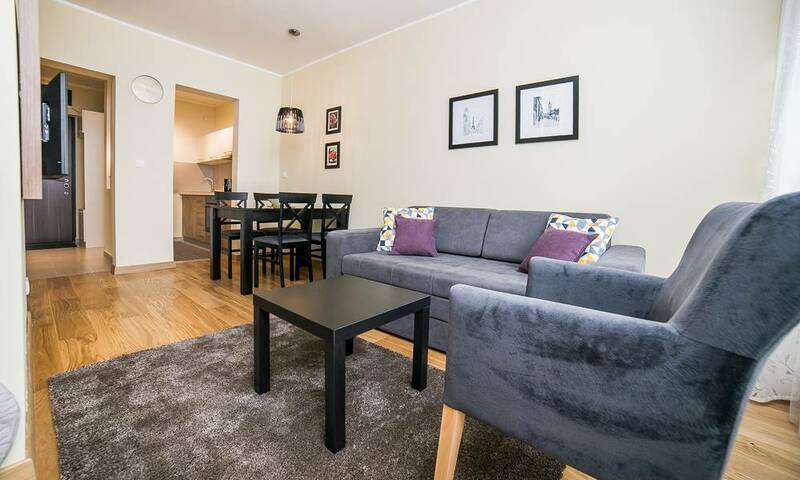 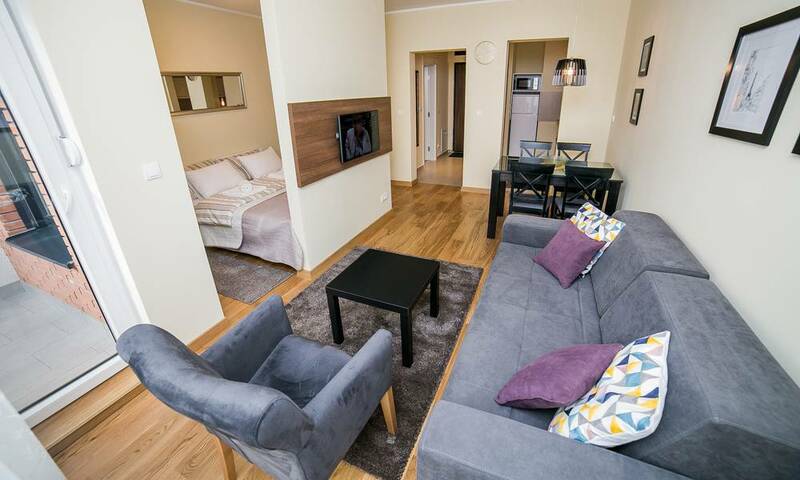 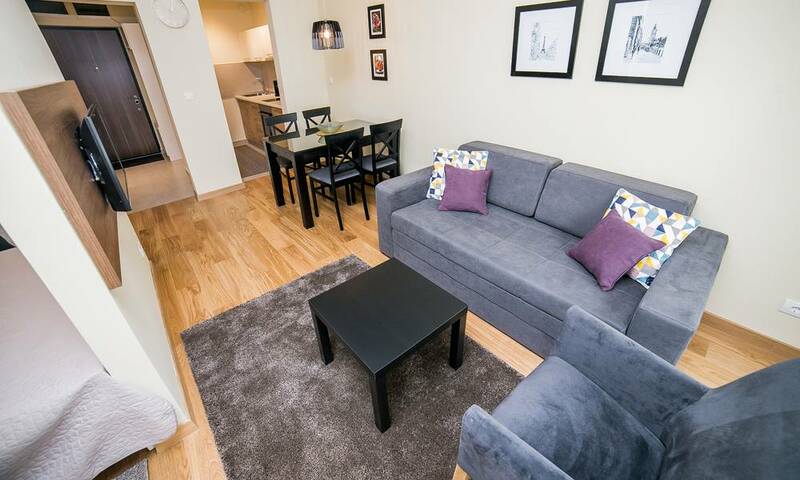 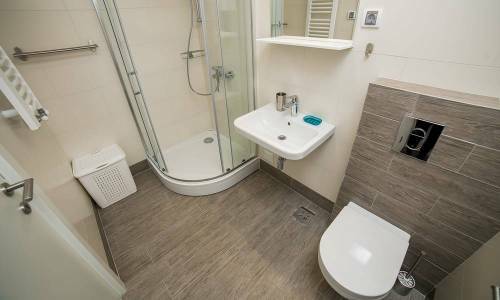 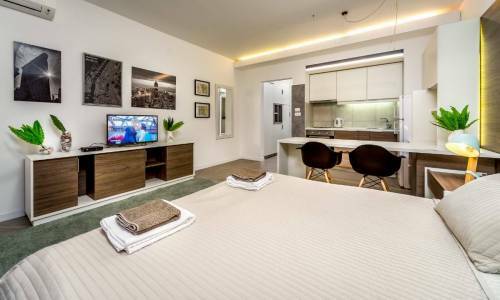 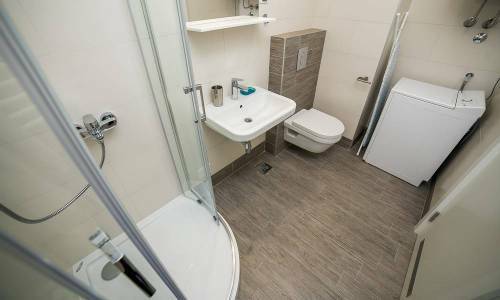 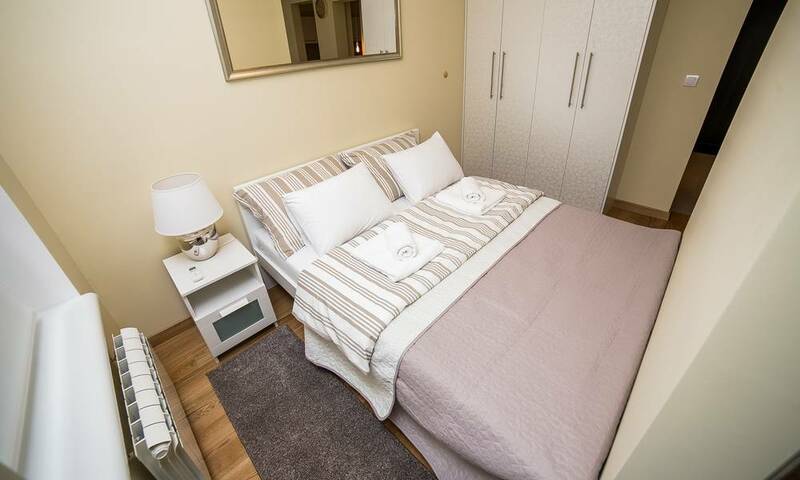 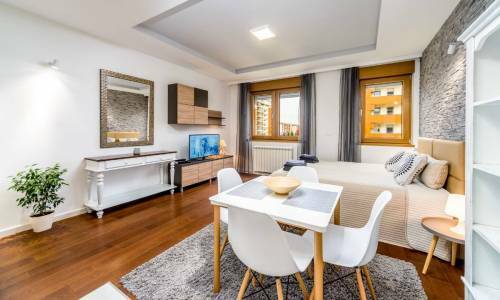 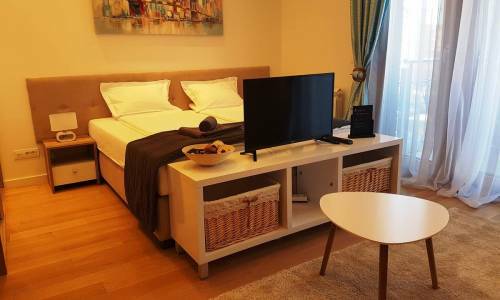 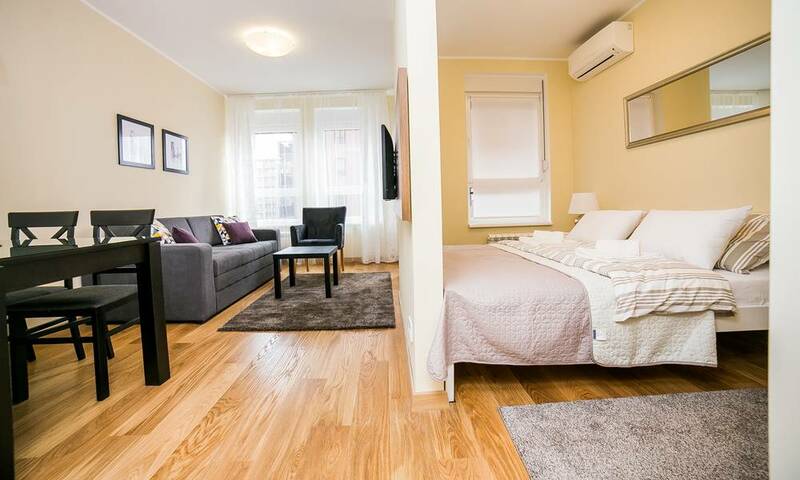 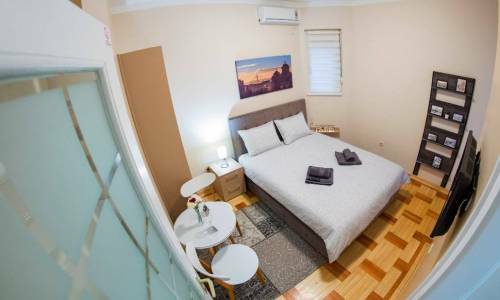 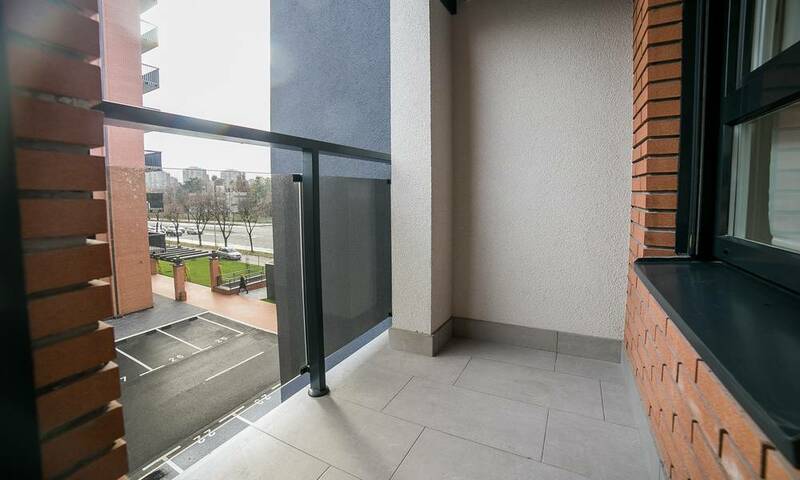 Near apartment Mango, you can find Delta City shopping mall (the shoppingholic paradise), the corporate centre Airport City, the Sava river promenade (the oasis of peace and gastronomic enjoyment). You can get to highway very easily via Omladinskih brigada street, and to all parts of Belgrade. 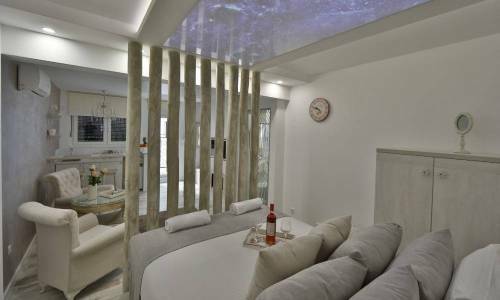 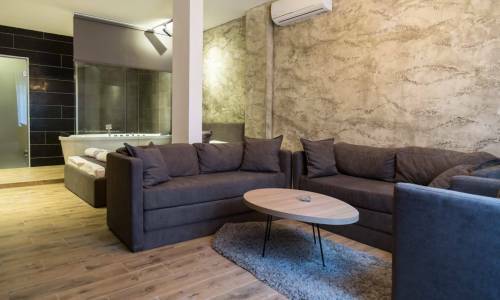 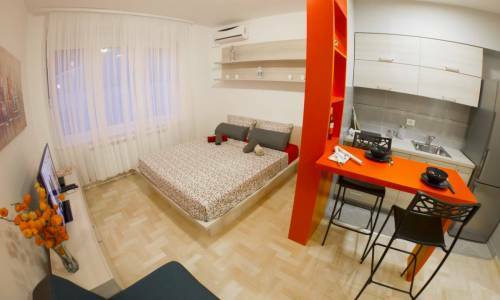 The structure of Mango apartment is interesting, as there is a divider wall between the living room and the sleeping area, so the apartment is ideal for two persons, but can as well accommodate four because the three-seater sofa can be folded out into a double bed. 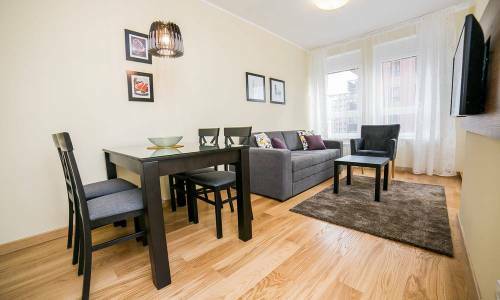 There's also a dining table with four chairs, very nice paintings on the wall and an unusual chandelier - all of these guarantee compact and pleasant interior. 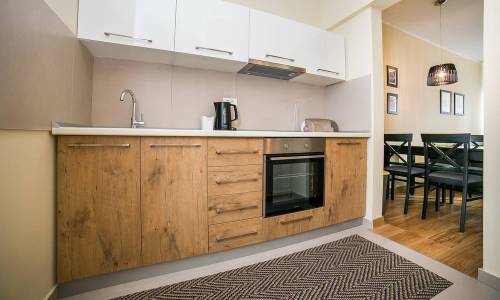 The kitchen is fully-equipped, the bathroom is very spacious and there's a balcony offering a fantastic view. 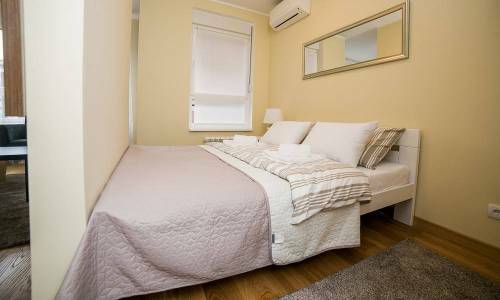 The price for two persons is 40eur, and for 3 and 4 persons is 45eur, and the price is lower if you're staying for a longer period of time. If you're looking for an apartment in New Belgrade and the lack of parking spot is not an issue for you, you should definitely take Mango into consideration.